Social media is a wonderful thing. Used well, it will drive brand awareness, maintain connections with your stakeholders and generate leads. But used poorly, it can chew up your time for very little return. As you will see every 4th week, going forward from here, we will be using a case study to demonstrate what our blogs have been discussing for the previous three weeks. An e-commerce company I have worked with has been using social media as part of its marketing mix for several years now. They would run competitions monthly to engage their followers and encourage them to interact and increase the reach of their brand. It seemed to be working too. The number of Likes continued to increase. However, there was a problem. Our research showed that their typical buyer was a middle-aged man. This man lived in a suburban or rural location with a fairly big house and garden. With an average unit sales value of around £300, the buyers needed to be fairly affluent. When we ran the same research within their social media audience, the results were somewhat different. Middle aged women in urban locations were entering the competitions to win prizes that they would rarely use. The audience they were attracting on social media was not there to get to know the brand, to flow through to their website and buy from them. They were simply there to win the prizes. So what does this say about their social media? They are attracting the wrong people! But they have 1000’s of Likes and Follows I hear you say. The problem is that they aren’t getting what they really want: sales. There is little point in spending time and money running social media campaigns that attract the wrong people. Post content that will attract their target audience. Perhaps run Q&A sessions around what they sell to help people use their purchases more effectively. Encourage customers to follow them on social media and post comments/images of their purchases in action. What they need is their customers’ peers to engage on social media, so that they are tempted into buying. I’m not saying this is easy, but it’s got to be better than wasting money giving away stuff that isn’t encouraging others to buy. Every business has a range of issues they need to solve, problems they need solutions to and desires they would love to fulfill. If I want to sell you my marketing services, I have to show you that I understand those needs, issues and desires that relate to your stakeholder communication, to your growth plans and to your worries about maintaining a consistent level of marketing activity. You have to do the same for your target audience. The good thing is that you almost certainly have all of the knowledge you need to do that. If you are reading this, there’s a good chance you are concerned you aren’t doing it. Let’s see if I can help. My previous blogs on Ideal Client and Target audience will help you describe your target audience, but I’m willing to state that it looks a lot like the most frequent type of client you have worked with over the last few years. When you look back at your clients’ needs, what were they? There is almost certainly a number of similar issues that occurred across your client base. Unless they are in a very fast moving sector, the chances are that the problems faced by your target audience are similar to those faced by your clients now. Even if the fast moving sectors, I am sure you can identify what has changed and therefore how what you do is changing, or can change. How did their problems show in their business? Cause and symptoms are not always the same but you will be able to describe how your clients’ issues were manifesting themselves in their business. This will help your prospects to qualify themselves as someone you can help. We were asked to review a company’s Adwords campaign after they told me that it was working. It wasn’t delivering any leads. When we looked more closely, the issue wasn’t the Adwords campaign. That was working tremendously well. The problem was actually their website: with a 94% bounce rate! In this case we recommended they turn off Adwords for a period of time and then fix the website. We saved them over £2000 per month. The symptom here was a lack of leads, but the cause wasn’t a poor Adwords campaign; it was a poor website. You will have lots of stories just like this that you can use in your marketing to show your target audience that you understand them. What does a successful resolution look like? Your customers are, I hope, a happy bunch. You’ve been delivering a great solution to them for years. So you know what success looks like. Are you asking your target audience whether they want to achieve similar results? Chances are they are. Are you challenging them to picture success in their minds? Success you know you can deliver and you have the evidence to prove it. All the knowledge you need you already have. It is simply a case of getting it out of your head and into your marketing. Last week’s blog defined an Ideal Client and the fact that having a solid definition of who (it is always a who) is your Ideal Client helps you to focus your marketing and be more effective. Now let’s look at what happens when you market to this highly focused group. Let’s define your target audience as HR Directors of UK companies in Information Technology. Let’s imagine your service helps HR Directors to assess the skills and attitude of developers via an online portal. Although there are lots of developers out there, finding one with the right mix of skills is not easy. Your reason for targeting companies with HR Directors is purely size. These companies probably recruit developers regularly as they look to grow their development team or simply replace those that leave. According to LinkedIn, there are currently 532 in the UK-based HR Directors of IT companies. You have developed a series of key messages that talk of how you can help these HR Directors. You have a convincing set of evidence which proves you can walk the walk. Your marketing programme aims directly at these 532 (or more) HR Directors of UK-based IT companies. Depending upon just how your application is written, I am sure that every other HR Director in the country also worries about recruiting the right people with the right skills and attitude. Maybe you’ve done some work for companies who aren’t in the IT sector and could use that evidence to talk to other HR Directors if they get in touch. There are 4,066 HR Directors in the UK. Companies that don’t put enough credence into the HR role may only have a HR Manager, or they may be a little smaller than your Ideal Client. They still have issues in recruiting good staff and your application may be able to help them. So far we haven’t even left the UK and the marketing programme you develop to focus on just 532 people may resonate with a further 63,000 people. Your outbound marketing will be aimed specifically at your core audience, but the supporting content marketing and inbound activity is highly likely to generate 78 enquiries from within this audience of 63,000. Richard Branson is not your Ideal Client. Who is? If you could have anyone in the world buy your product or services, who would it be? If I asked this question to 100 people, chances are 30%+ would say Richard Branson (or another very rich person). Another 30-40% would say “as many people as possible”. 10-15% would say “I don’t know really”, with just a small percentage of people being able to give a good description of an ideal client. They may even name someone. Richard Branson is the figurehead for the Virgin group of companies but spends most of his time on not for profit activities. He has management teams within every company to buy new products and services and so is highly unlikely to be the decision maker. I don’t believe he is the sort of person who will tell his senior team that they “have to buy” something. He may introduce you. Richard, if you do read this, I’d love your opinion! Anyway, back to your Ideal Client. Your network is a good source of opportunities and leads for your business. Do you think that if you gave them a good description (or even a name) of your Ideal Client, it would help them to find more, or better, leads for you? Next week’s blog will talk more about how you move from Ideal Client to Target Audience, but let me touch on it just a little now. Having an Ideal Client doesn’t mean that they are the only people you want to sell to. If you want to talk to, for example, HR Directors of large SMEs in London, I bet they face very similar issues to HR Directors of large SMEs in Birmingham or Brighton. I bet these people within small Enterprise level businesses also have the same issues. Would you turn them away? Didn’t think so.. The decision maker within the type of company you want to sell into. You will be able to clearly show them how you provide a solution to a problem within their business. This company will be in your geographic area (whatever that may be). They are likely to be in an industry sector where you have a great deal of experience, unless you are entering a new market. Having an Ideal Client enables you to focus. It means you can identify their pains/needs/issues/wants and develop the messages you need to communicate how your solution can help them. It helps you to engage with the people most likely to buy from you. The Owner/Managing Director of a technology business that is committed to growth and who doesn’t have a senior Marketing Manager/Director in the business. They will be based within 20 miles of my office in Croydon and have been trading for at least three years. Having said this, I have clients in Manchester. I have clients who sell holidays and coaching and have worked with retailers of gardening equipment and veterinary services. Just because my marketing is focused on my Ideal Client, it doesn’t mean it will not resonate with others and encourage them to get in touch. 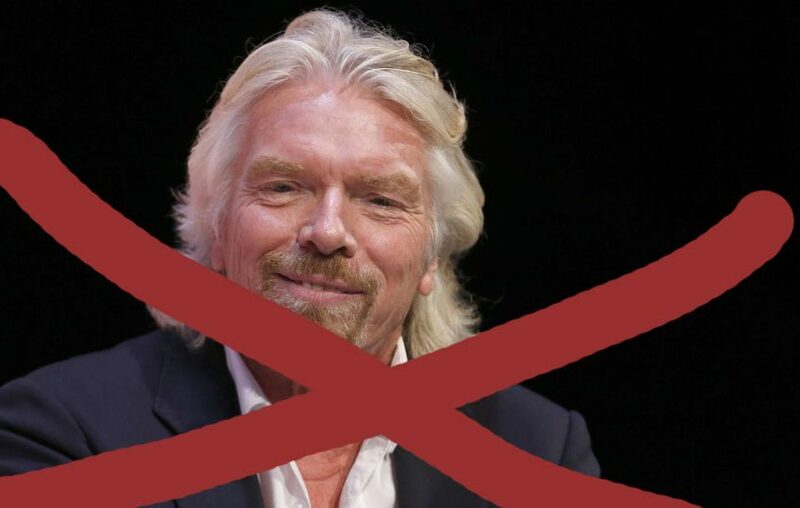 https://smeneeds.co.uk/wp-content/uploads/2017/02/sir-richard-branson-crossed.jpg 537 1010 nigel davey https://smeneeds.co.uk/wp-content/uploads/2017/01/SMEneeds-Logo.gif nigel davey2017-02-06 13:38:292017-11-28 19:55:10Richard Branson is not your Ideal Client. Who is?